Many people who use prescription lenses have considered undergoing LASIK surgery. Dr. William S. Goldstein is proud to offer LASIK because it is one of the few procedures that actually addresses the source of vision impairment. As a result, it can improve vision and reduce or eliminate a person’s dependence on glasses or contact lenses. LASIK uses a highly concentrated laser to reshape the surface of the cornea to correct the abnormalities that are responsible for nearsightedness, farsightedness, and astigmatism. The LASIK procedure was approved by the FDA in 1999. LASIK statistics gathered since then illustrate how this procedure has increased in popularity. Read on to read LASIK statistics, and then contact our Detroit, MI practice to schedule your LASIK consultation with us. The history of LASIK may be short, but it is one of the most widely studied medical procedures. In August 2016, the Journal of Cataract & Refractive Surgery (Volume 42, Issue 8) looked at a series of LASIK articles published between 2008 and 2015. They found that, among the patients in these studies, 99.5 percent recovered from LASIK surgery with 20/40 vision or better. These findings are similar to those found in the PROWL-1 and PROWL-2 studies, which were conducted as part of the FDA’s LASIK Quality of Life Collaboration project. In PROWL-1, 224 LASIK patients from the Navy Refractive Surgery Center in San Diego completed a questionnaire three months after their LASIK procedure. The questionnaire covered topics such as post-op symptoms, patient functions, and patient satisfaction. The PROWL-2 study provided the same questionnaire to 260 LASIK patients from the general population. Based on data collected, 99 percent of patients from the PROWL-1 study and 96 percent of patients from the PROWL-2 study reported 20/20 vision or better three months after their LASIK procedure. Furthermore, 98 percent of PROWL-1 patients and 97 percent of PROWL-2 patients reported being satisfied with the results of their LASIK surgery. Nearly the same number (97 percent of PROWL-1 and 96 percent of PROWL-2) said they were satisfied with the improvement in their vision after LASIK surgery. Most patients who are reluctant to undergo LASIK surgery are concerned about the risk of LASIK complications. Unlike LASIK side effects, which are a temporary and natural part of the recovery process, complications are unanticipated problems than can develop and negatively impact the vision or overall eye health. No surgical procedure is free of risks, so complications are possible following LASIK. 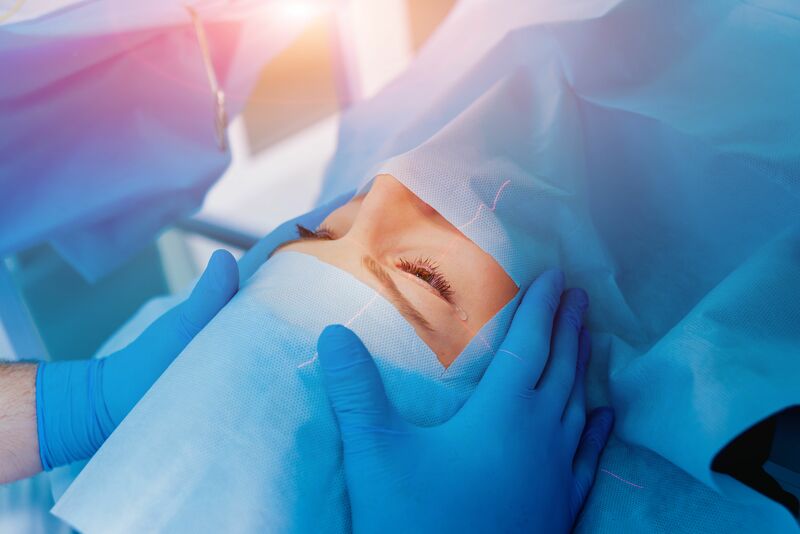 However, LASIK is considered one of the safest elective surgery procedures, and according to the American Refractive Surgery Council, less than one percent of patients experience LASIK complications. LASIK can be a highly successful and effective procedure, as long as it is performed on the right patient. If you’d like to find out if you are an ideal candidate for LASIK, contact us at your earliest convenience by calling (586) 323-2020. Dr. William S. Goldstein can answer any further questions you may have.